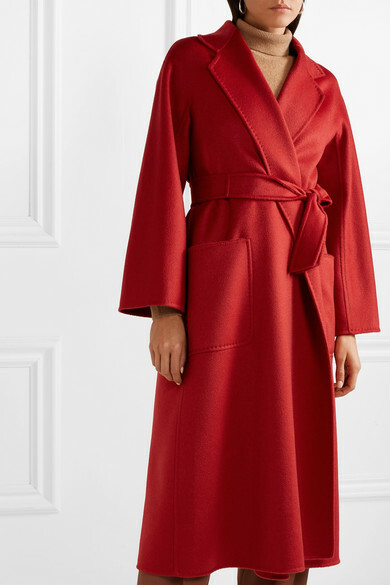 We've seen Max Mara's 'Labro' coat in black and brown in past seasons, but this bold red shade will stand out in the best way possible, plus it's surprisingly versatile. 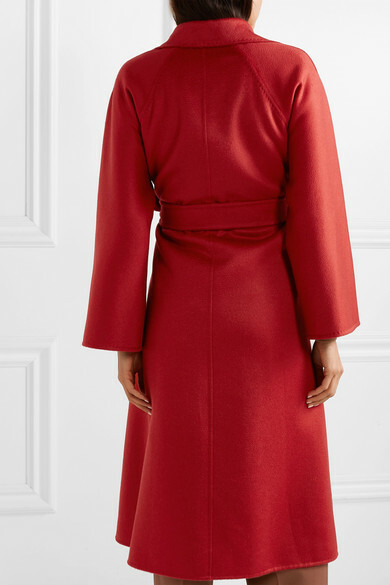 Made from cashmere-felt that's brushed for added softness, it has dramatic notched lapels and a self-tie belt to cinch in the loose silhouette. 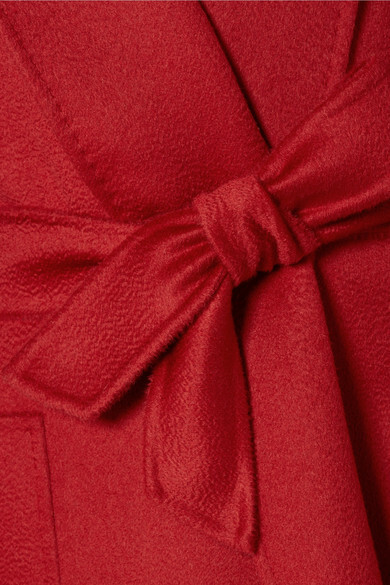 It's easy to slip on over multiple layers or chunky knits. 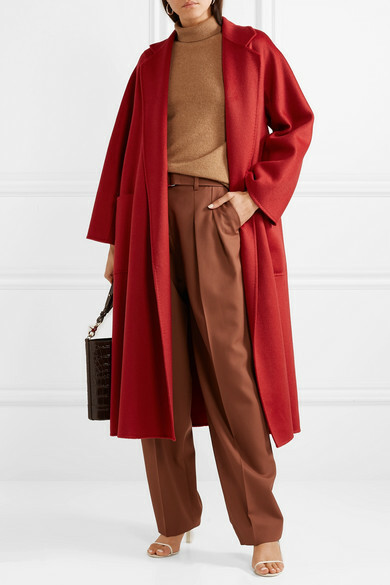 Shown here with: Victoria, Victoria Beckham Pants, Khaite Sweater, Chylak Tote, The Row Sandals.